Epilepsy is a neurological disorder in which the normal activity of brain cells are sometimes disturb. These abnormalities can cause convulsions, muscle spasms, and loss of consciousness. There are reportedly 50 million people worldwide that have epilepsy; it’s prevalent in childhood, adolescence, and old age. Epilepsy is reportedly the most common serious brain disorder worldwide. The disorder is classified into three types: idiopathic, symptomatic, and cryptogenic. Reportedly 60% of people with epilepsy, have idiopathic epilepsy. Idiopathic seizures, where there is no apparent cause, is possibly linked genetically. Symptomatic seizures are usually caused by widespread brain damage. Reportedly, those affected with these seizures, often have other neurological problems, such as mental retardation or cerebral palsy. Lastly, cryptogenic epilepsy are seizures with no obvious cause. Thus, the terms “idiopathic epilepsy” and “cryptogenic epilepsy” are sometimes used interchangeably. Epidiolex, an investigative drug extracted from marijuana, that comes in a liquid form, has been tested on children with epilepsy. Reportedly, the drug does not obtain intoxicating properties, is a liquid made of a purified cannabidiol (CBD) extracted from marijuana plants, and is grown under license at an unknown location in Britain. “I was skeptical at first, but families are trying medical cannabis and it is working, including several girls with Aicardi Syndrome,” Polly VanderWoude said. Olivia VanderWoude, Polly’s daughter, has suffered uncontrollable seizures since she was diagnosed at 2-months-old. Olivia is now 3-years-old. Olivia has Aicardi Syndrome. Polly wants to give Olivia a marijuana strain rich in CBD, the major non-psychoactive ingredient in marijuana. “The Epilepsy Foundation is firmly committed to supporting physician directed care, and to exploring and advocating for all potential treatment options for epilepsy, including CBD oil and medical marijuana,” a statement from epilepsy.com. Reportedly, out of 151 patients in the safety testing for Epidiolex, 26 experienced serious adverse effect and two died, although GW pharmaceuticals said independent investigations found they were unrelated to the trail. In addition, the children in the study, were all receiving other treatment alongside the Epidiolex. Two of the patients were taken from the study because of “adverse effects” and another four due to a lack of clinical effect. 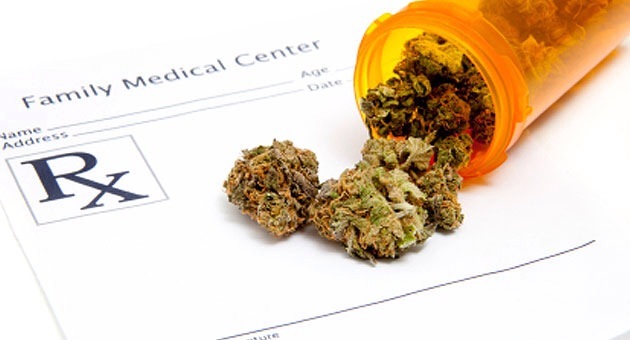 Marijuana and its components are classified as schedule 1 drugs by the Drug Enforcement Agency (DEA). Because of its label, it’s difficult to conduct research using marijuana agents but it’s not impossible. “I believe the Epidiolex has the potential to be an important advance in treatment for these treatment-resistant children and will likely have a significant role as a future therapy,” said Dr. Elizabeth Thiele, director of the Pediatric Epilepsy Program at Massachusetts General Hospital. People with uncontrolled seizures live with continual risk of serious injuries and loss of life. In states where medical marijuana use is legal as a treatment for epilepsy, a number of people living with the disorder report beneficial effect, including a decrease in seizure activity.